Executives | StayWell Guam Inc.
Chen Mack has been a director and shareholder of StayWell Insurance since 1986. In 2008, she took a more active role managing StayWell and with her partners formed IHIAC, the holding company, and Island Home Insurance Company (IHIC), the underwriter. 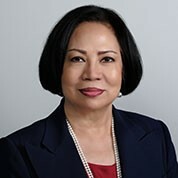 Since 2008, she has been the vice president and a consultant to the subsidiary companies which includes StayWell Guam, StayWell Saipan, SISI, IHIC and IHIAC. In 2012, she became the president and chairwoman of IHIAC. As of January 2015, she is now the President and Chief Executive Officer and sole owner of IHIAC, IHIC, and its subsidiaries. Jason Rios received his BBA in Accounting at the University of Portland in 2000. Prior to joining StayWell, he worked as an accountant and a supervising senior auditor. Jason joined StayWell Insurance in 2008 as the company's Controller/Chief Financial Officer for 6 years. In 2019, he returned to StayWell as the company's Vice President of Finance. 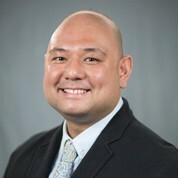 Dr. Anthony Mendiola has been with Island Home Insurance Company/StayWell Insurance for seventeen years. 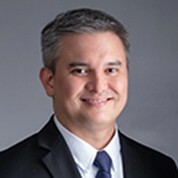 After obtaining his Bachelor of Science in Biology from the University of the Philippines, he completed his Doctor of Medicine Degree and physician training at the Philippine General Hospital. Embracing the business side of medicine and having held various positions at StayWell Insurance, he offers more than a decade of training and management experience in the fields of medical care management and plan administration. 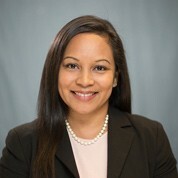 Maureen was educated at the University of Guam with a degree in Finance and Economics. She joined StayWell Insurance in 1992 and managed Sales & Marketing for 10 years. In 2012, she was promoted to Manager of Sales and Marketing and Property and Casualty. As the manager for these departments, she established the sales and marketing and communications activities for the various lines of insurance to include health, personal auto and personal home. Maureen left the company for a short period and returned as the Vice President/Business Development. In her capacity, she oversees corporate strategy related to sales and marketing, customer service, the StayWell Saipan office and property and casualty division.